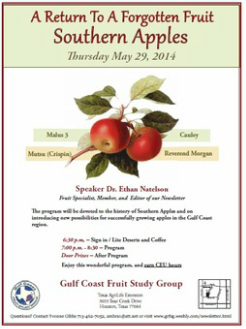 Dr. Ethan Natelson will give a presentation on growing apples, and what varieties are recommended in the Houston area. Plus, you never know what the door prize might be! Come and join us for an evening of fruit, fellowship, and fun!